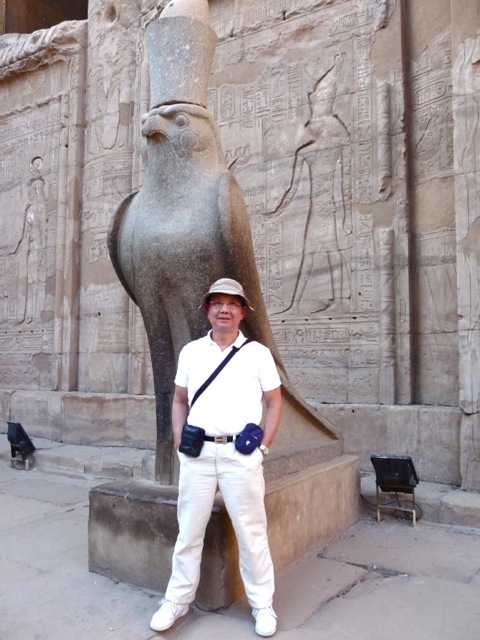 I like to visit ancient site and see things made by mankind long time ago. It is fascinating how those archaic cultures used primitive tools, had less understanding of physical laws, and organized large groups of workers. Some of these ancient creations have fortunately been rediscovered to delight us with their scale, skills and beauty. One breathtaking archeological site is the terra cotta army of Qing Shi Huang (秦始皇) located in Xi’An (西安), China. An estimated 8,000 life sized replicas of actual individual soldiers were installed to protect the First Emperor in his afterlife. These soldiers held weapons and stood in battle formation, ready to fight any adversary. 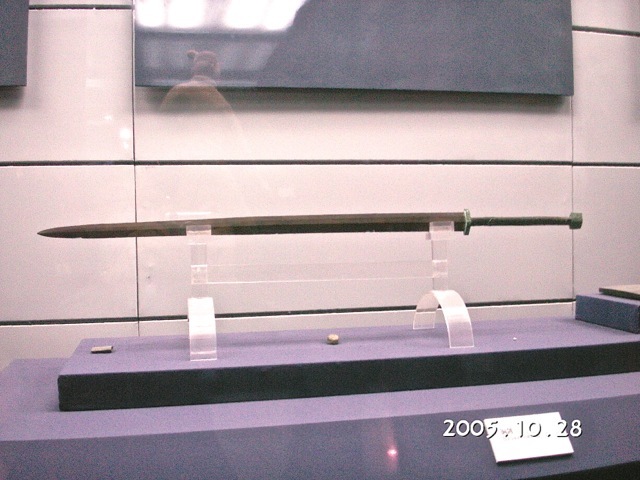 A long two-handed bronze swords found with the army is still extremely sharp after being buried for two millennia. Analysis shows it to be plated with chromium which protects it from corrosion, a lost technology until chrome plating was reinvented 2,000 years later. I can hardly believe how the ancient Egyptians created the pyramids, temples, and a great civilization 4,500 years ago. Its workmen carved hard granite blocks into delicate life-like statues using even harder volcanic rock tools. This fierce falcon is one of my favorites. Egyptian art influenced Greek art and is therefore the progenitor of Western art. 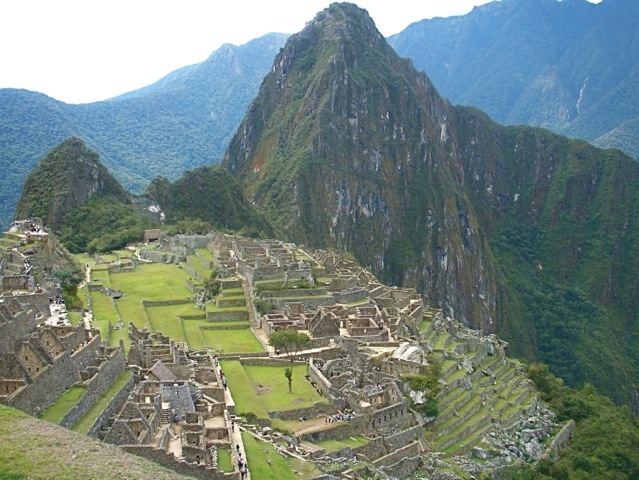 Restored Machu Picchu is a wonderful gift to the world. Visitors are astonished by this Inca sanctuary located on a precipitous peak in Peru. 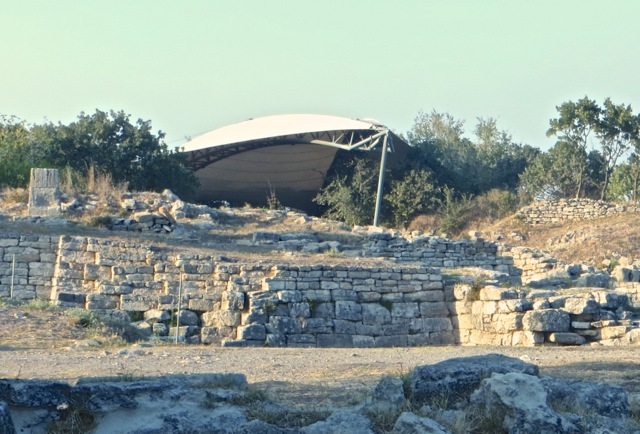 But sometimes an ancient site is too abused for proper restoration. 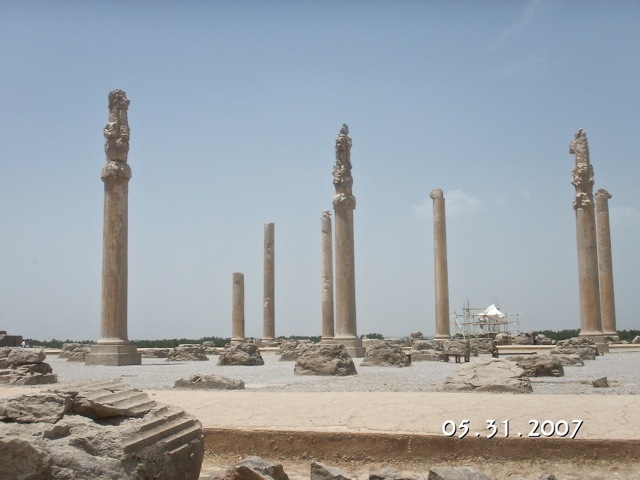 The Persepolis of Iran was destroyed by Alexander the Great 2,300 years ago, then raided again by foreigner who removed all significant remnants for display in European museums. What is left is a sorry shadow of its original majesty. Many of the ancient sites were depopulated and then disappeared under thick sediments or jungle. Archeologists usually find them in total disarray. 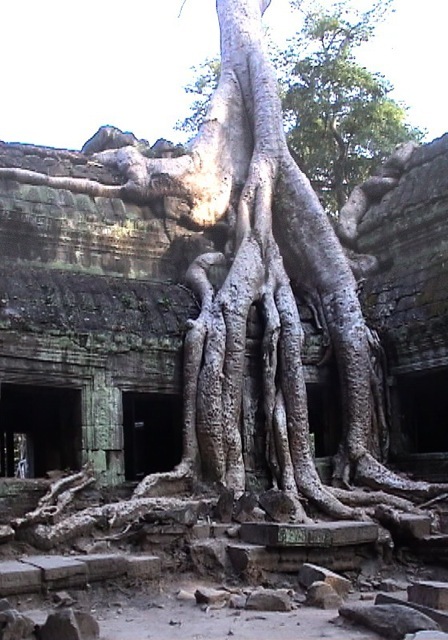 This building in Angkor Wat, Cambodia, is dominated by an invasive ficus tree. The roots of the tree are intwined in the structure’s crevices, and the building may collapse if the roots are carelessly removed. 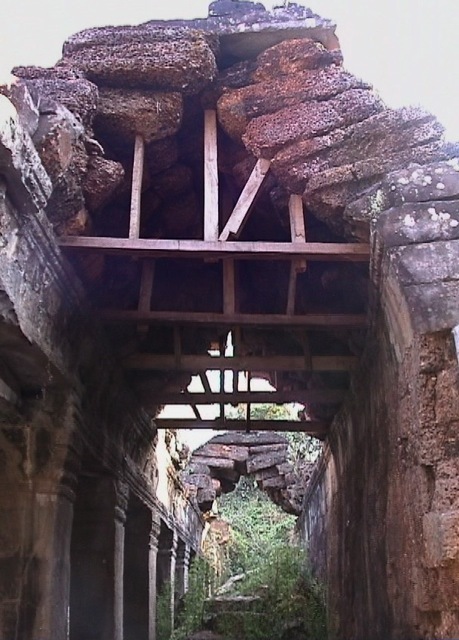 Some structures such as this Angkor building are near collapse, threatening archeologists. The ancient Cambodians never discovered the arch. 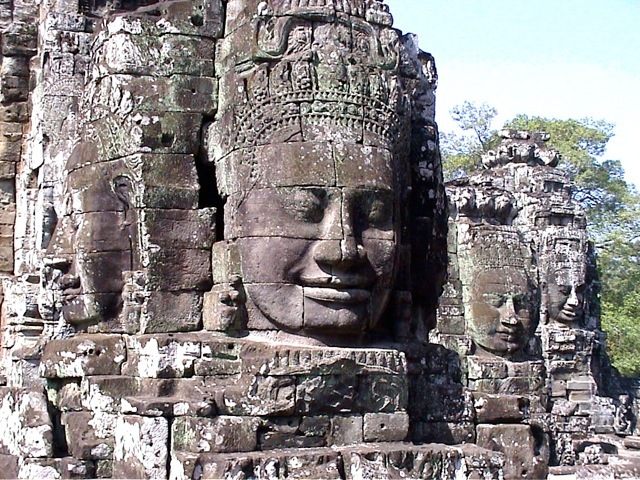 After careful restoration, enigmatic heads on this Angkor monument smile again on visitors. 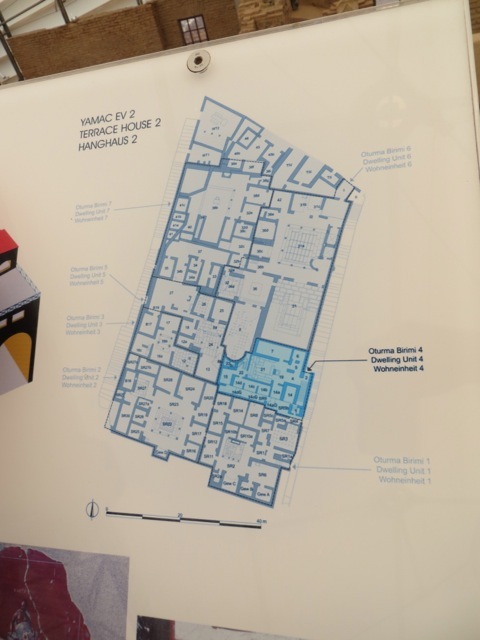 Archeologists do more than digging for relics. 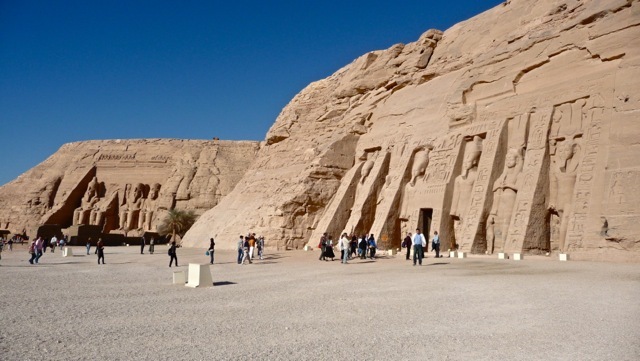 For example, they oversaw the dismantling of these two ancient temples in Abu Simbel, Egypt, and moving them to higher grounds when a flooding reservoir threatened to inundate them. From their original perch against a side of a cliff, the relocated temples are resting against an artificial mound. This doorway in the back of the mound opens into the steel structured, hollow mound. 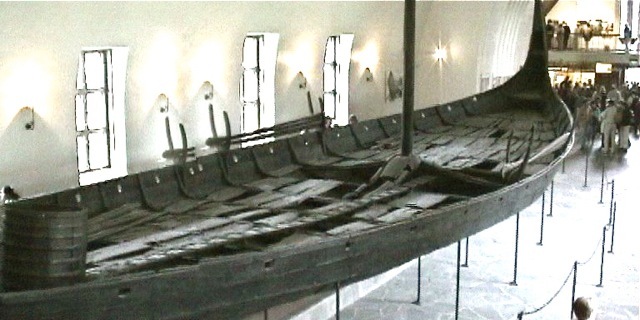 Another example of their work is the restoration of a Viking long boat found in a swampy bog in Norway. The dragon boat’s sweeping, elegant shape is appreciated by awe-struck visitors. Archeologist have to be good at solving puzzles. 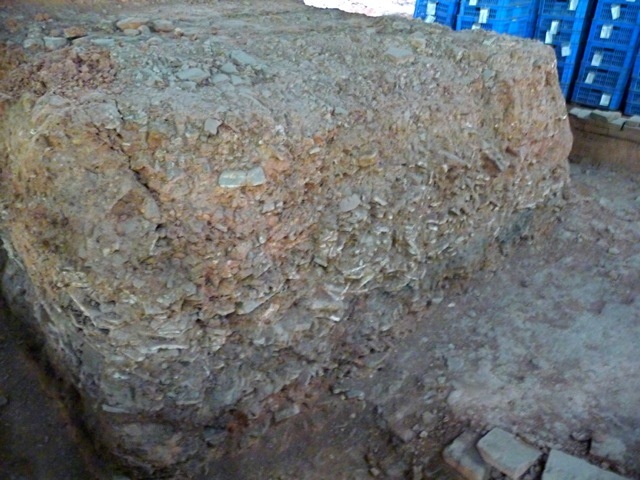 The grounds of a 2,000 year old royal garden in Southern Yue kingdom in Guanzhou (廣州), China, started out as a compacted jumble of broken shards. After much detective work, the ancient royal garden reappears with a stone-lined stream and a stone bridge. 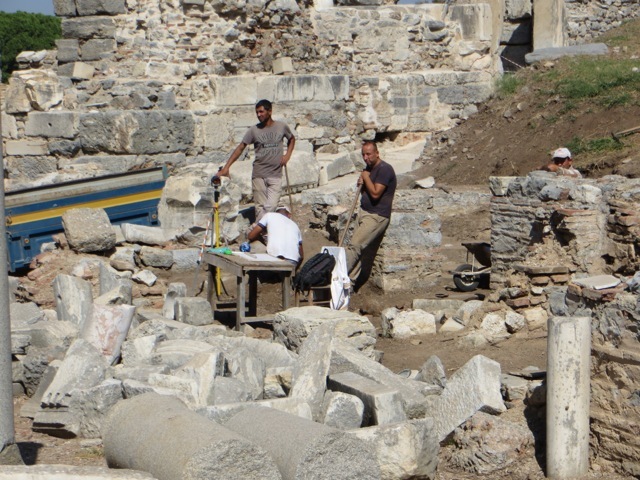 In the important Roman city of Ephesus located in today’s Turkey, these men work under the hot blazing sun to restore a collapsed building. 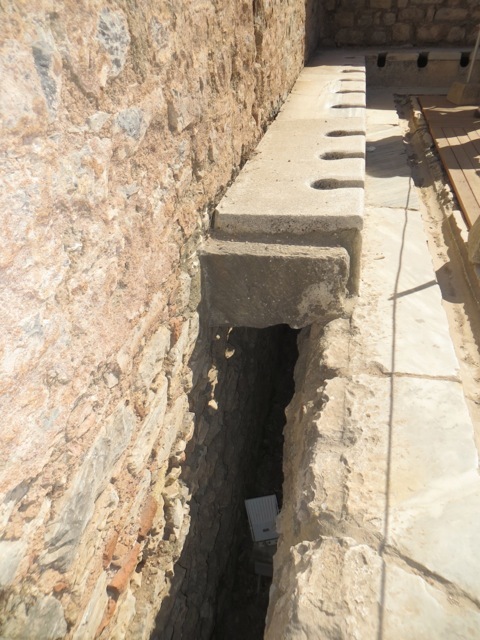 A communal toilet was recovered next to a bath house. Water from the baths flush the trough below the marble toilet seats. Obviously, the Romans had not discovered the concept of privacy. 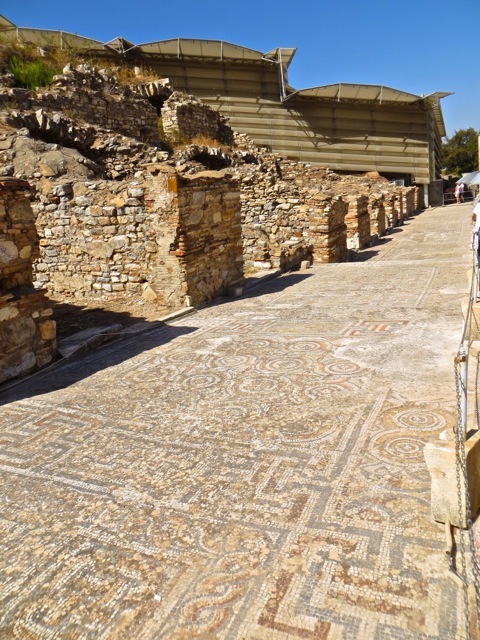 Beyond this mosaic covered walkway, an awning structure covers a hillside and the on-going work there to restore a cluster of residential houses. An archeologist works under the large awning, shaded from the hot sun. 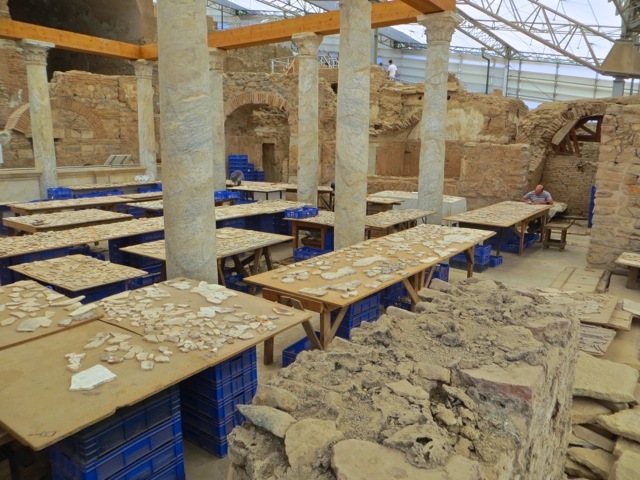 These columns were buried under the sediment and lots of dirt were removed to reveal this room. 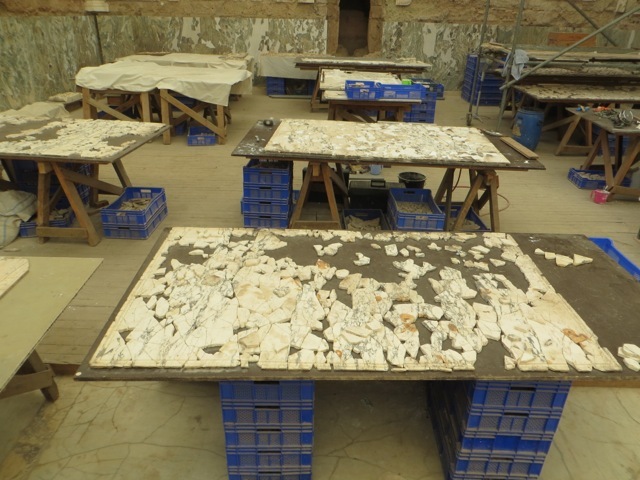 Shards of broken marble pieces are laid out on tables, forming nearly unsolvable jig saw puzzles. Multiple puzzles render their solution exponentially more difficult. Infinite patience is a gift and a learned skill. Several houses composed of dozens of rooms under the awning have been uncovered. These were expensive houses squeezed into a small, upscale neighborhood. 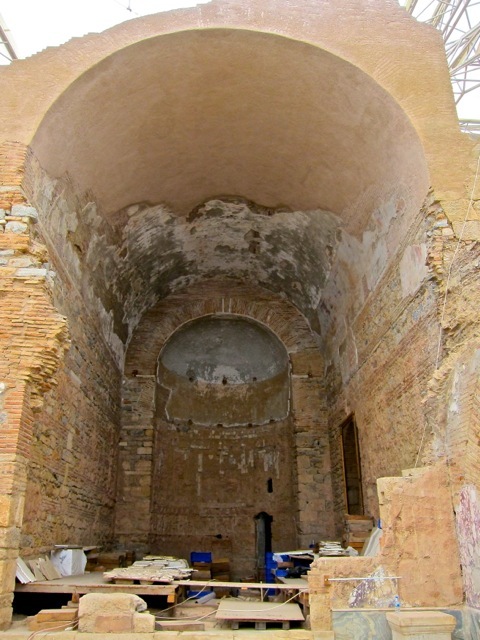 After this hall was uncovered, the missing roof was rebuilt. These houses had indoor toilets and in-wall pipes. 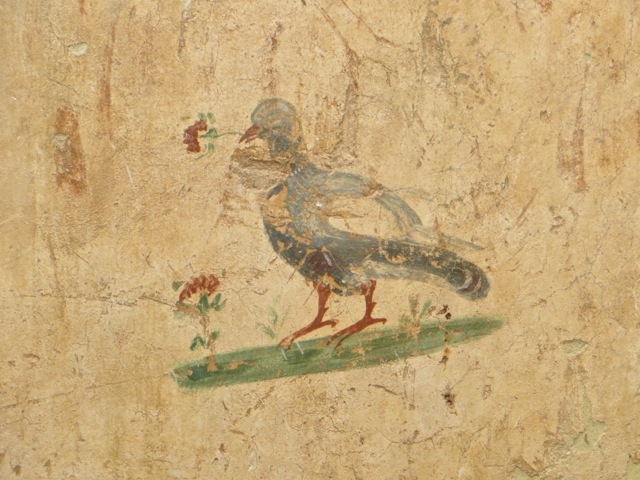 The houses were decorated with mosaic floors and frescos on the walls. 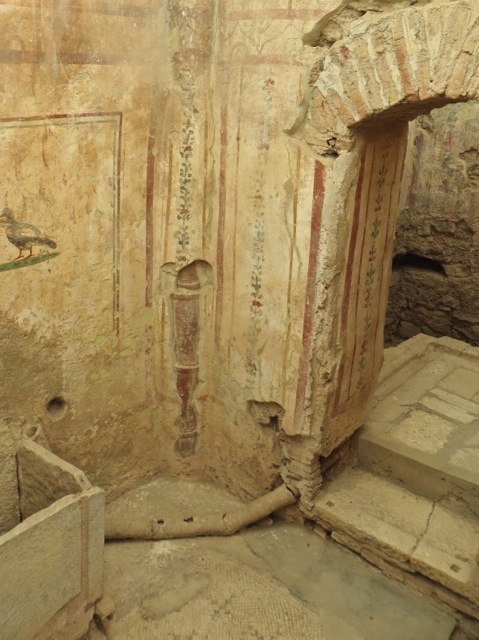 The colors of this fresco remain surprisingly vivid after being buried for two millennia. On a much larger scale, a crane is needed to restore a theater of 25,000 seats. 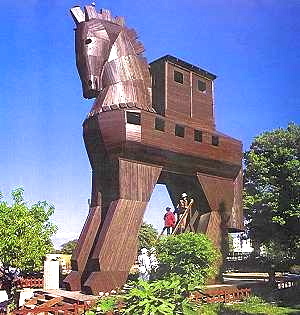 Many of us remember Homer’s story about the war at Troy, following the abduction of Helen, which ended when the Trojan horse was deployed to conquer the city. 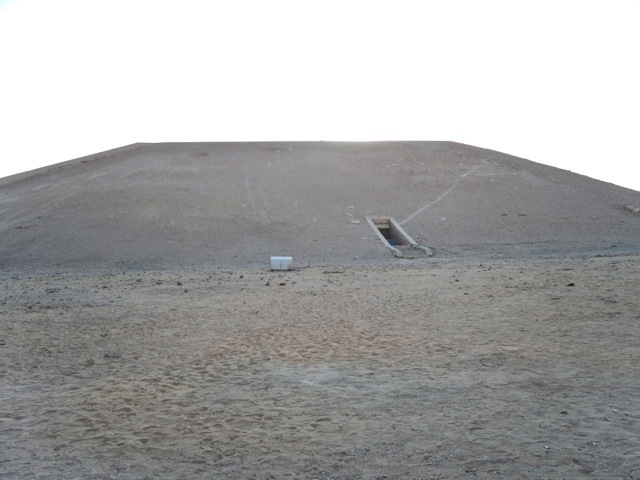 This tent structure indicates the original level of the hill before it was excavated. 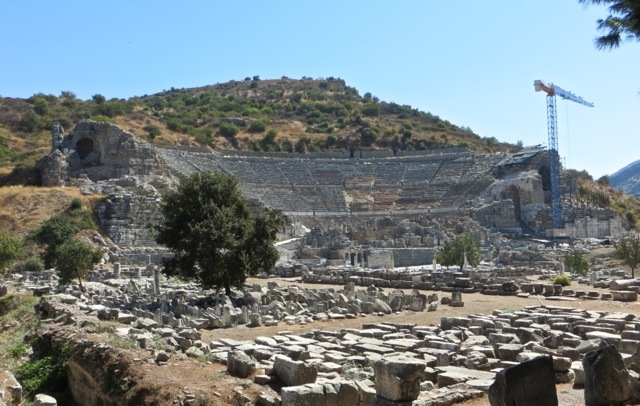 After years of digging, researchers concluded that nine different cities occupied this site at different times for 3,000 years. 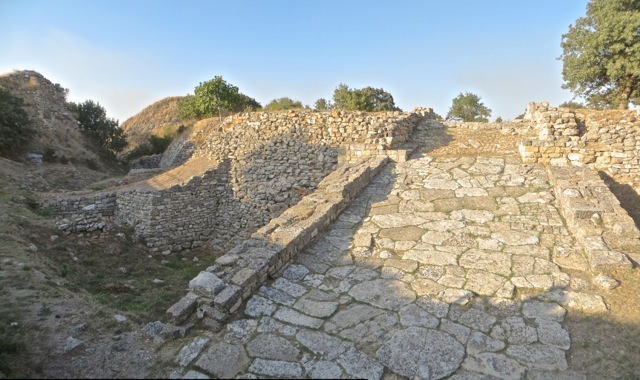 The seventh city, Troy VII, is considered to be Homer’s Troy. 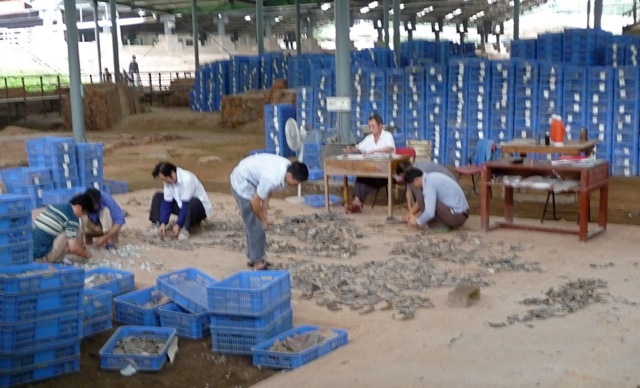 When I was at the site, I saw large jumbles of stones and I could not distinguish one pile from another. 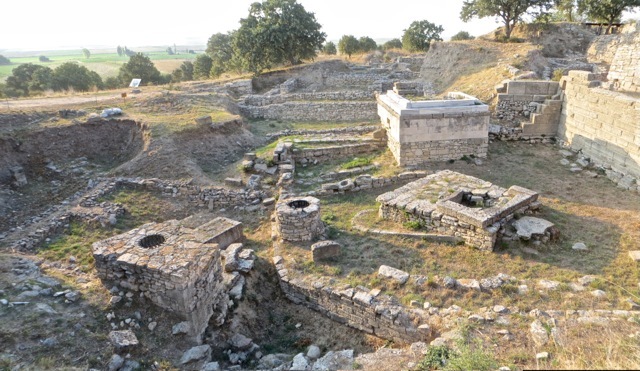 It is fascinating how the archeologists could identify nine different cities and, even more astonishing, that city VII was Homer’s Troy. They are truly master puzzle solvers. 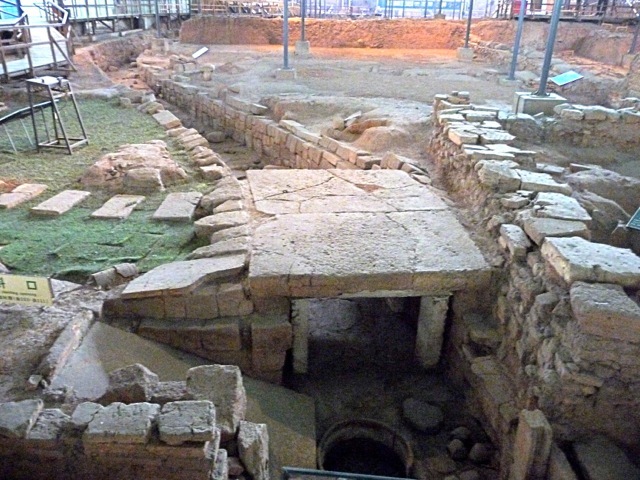 These wells were used as a holy site by residents of all nine cities. A wooden horse is built near the relics, adding an incongruous amusement park atmosphere to the site. If the legend of the Trojan horse is true, then this ramp may have been used to drag the horse into the walled city. The rest was history, oops, legend. Posted by Robert Wu on Saturday, October 27, 2012, at 12:08 am. Filed under Uncategorized. Follow any responses to this post with its comments RSS feed. You can post a comment or trackback from your blog.